In term of financial performance, ANTAM returns to booked net profit in 2016. According to PT Aneka Tambang Tbk Annual Report 2016 as cited by JobsCDC.com, ANTAM managed to record total net profit of Rp64.81 billion in 2016 as compared to net loss of Rp1.44 trillion recorded in 2015. Referring to its annual report, ANTAM booked total net sales of Rp9.10 trillion in 2016. This number is down 13.53% from Rp10.53 trillion in 2015. Maximum age of 30 years old as of 31 December 2018. The candidates with prior experience for minimum 2 years is preferred. Never involved in illegal or improper used of drugs and other criminal activity. 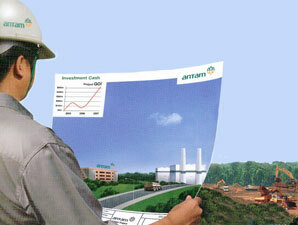 Willing to be placed in every Unit / Business Unit / Subsidiary of ANTAM.